Is she just not listening or is something else going on? Google Assistant is a virtual assistant that can perform a lot of useful tasks like searching the web, setting appointments, and even sending text messages. If your Google Assistant won't send a text message, there probably some kind of issue with your contacts or the Google app, and we'll help you get to the bottom of it. Do Any Google Assistant Voice Commands Work? If other Google Assistant voice commands work, then your problem with Google Assistant not sending text messages probably has something to do with errors in your contact numbers, or a lack of the correct permissions for the Google app. To be sure, try using Google Assistant to run a web search. This is one of the simplest things Google Assistant can do. If it doesn't run the search, then you'll know you have a larger problem. In that case, you may want to make sure that Google Assistant voice commands are turned on, try retraining the voice model to make sure it understands you, or even reset the Google app to its original state. 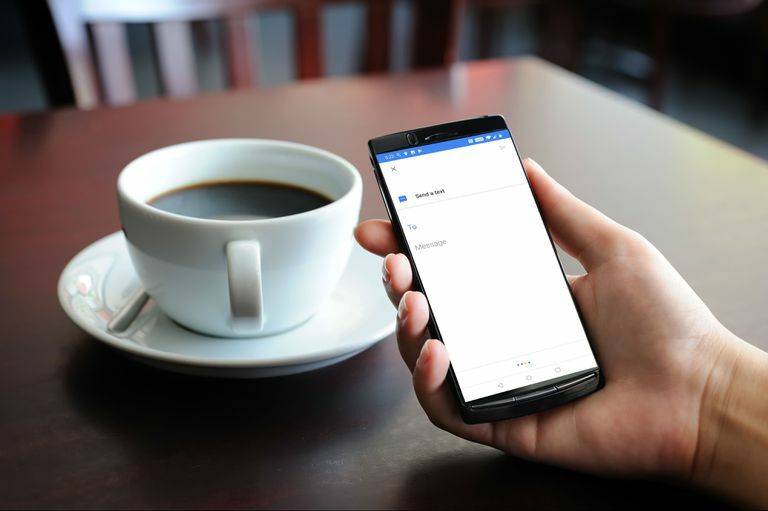 If Google Assistant is able to perform other tasks, and it just can't send text messages, then check out the following troubleshooting tips to get things working again. Before you do anything else, open the Contacts app and check your contact numbers for errors like superfluous spaces, parentheses, periods and commas. If any of your contact numbers contain extraneous characters like these, that can prevent Google Assistant from successfully sending text messages. Phone numbers should use this format to avoid issues: 555-555-5555. Phone numbers using this format may cause problems with Google Assistant: (555) 555-5555. Google Assistant relies on the Google app to work, so the app needs a variety of permissions if you want to use Google Assistant for tasks like text messages. Permissions are just your way of controlling exactly which aspects of your phone that individual apps are able to access or use. If you want to send text messages with Google Assistant, you need to make sure that the Google app has permission to access the short message service (SMS) functionality of your phone. If you have an older version of Android, you may need to tap Apps instead of Apps & notifications. Make sure the slider next to SMS is slid to the right. If the slider is slid to the left or grayed out, Google Assistant can't send or access text messages. Check to see if Google Assistant is able to send text messages. If it isn't, then you'll need to try resetting the Google app to its original state. If you have verified that there are no errors in your contact phone numbers, and your Google app has the correct permissions, then the next step is to reset your Google app to its original state. This process will eliminate any potentially corrupt data in the Google app on your phone, and you will also be able to download and install updates to the Google app if that doesn't do the trick. In some older versions of Android and the Google app, you may need to tap Manage Space instead. Tap the back button to return to the main Google app info screen, and tap the ⋮ (three vertical dots) menu icon. Some older versions of the Google app don't have this option. If you don't see the option to uninstall updates, you won't be able to attempt this fix. Wait for the updates to uninstall, then tap Disable. Only disable the Google app temporarily as part of this troubleshooting process. Do not stop the troubleshooting process on this step. If you leave the Google app disabled permanently, your phone may not function properly. Check to see if Google Assistant is able to send text messages. If Google Assistant still can't send text messages, navigate to the Google Play Store and install the latest version of the Google app. Check to see if Google Assistant is able to send text messages. If it still can't, then you may need to wait for Google to issue a fix. Visit the official Google Assistant support forum to report your issue and check for additional information.